The newly renamed Sunday Times/University of Warwick Young Writer of the Year Award opens today (April 12) for submissions as it announces its new sponsorship regime. What may be the longest-named literary award of the season has a new name. And it’s just as long as the old one. The UK’s Sunday Times/Peters Fraser + Dunlop Young Writer of the Year Award today (April 12) is announcing itself to have become the Sunday Times/University of Warwick Young Writer of the Year Award. The prize also is open for submissions for its 2019 cycle, from today through June 15. To qualify for the 2019 prize, books, which can either be published or self-published, must have first come out between June 9, 2018 and June 14. 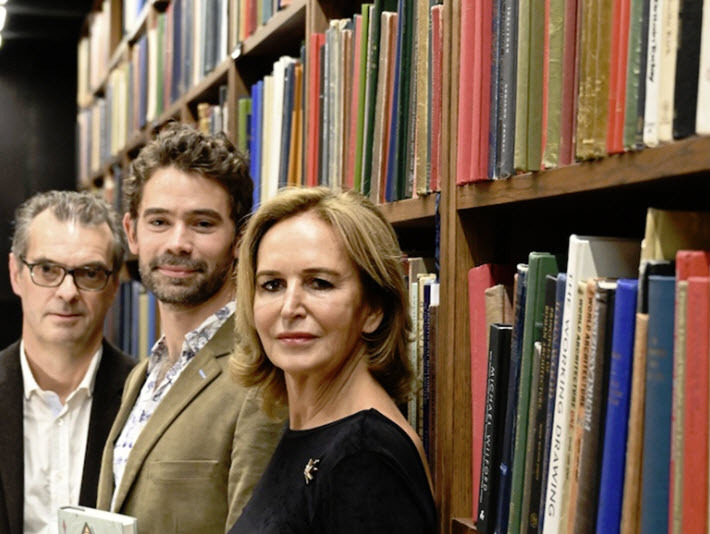 The literary agency Peters Fraser + Dunlop is still in the picture, with its CEO, Caroline Michel, becoming the program’s first patron. And, as Publishing Perspectives readers will remember, the University of Warwick’s writing program has been involved for some time with career-boosting training offers for winners. So in essence, the sponsorships have simply shifted around the logo’s circle, with the university becoming the lead/name sponsor and the literary agency taking a supportive role. There’s another sponsoring entity in the mix, too. The British Council provides the winner and other shortlisted authors with promotional exposure to international audiences through its outreach programming. Founded in 1991 and relaunched in 2015 after a seven-year break, the prize is designed to recognize writings in fiction, nonfiction, or poetry, and eligible writers are British or Irish, aged between 18 and 35. The winner of the prize gets £5,000 (US$6,554) and each of three runners-up is given £500 (US$655). And if you look back beyond the 2015 revitalization, you’ll find Caryl Phillips, Katherine Pierpoint, Paul Farley, William Fiennes, Patrick French, Robert Macfarlane, Zadie Smith, Sarah Waters, and Simon Armitage among the winners’ names. This is one of the many prizes administered annually by the Society of Authors in London. Its shortlist is to be announced in November, with a winner named on December 5. In a prepared statement, Ian Rowley speaks for the University of Warwick, as its engagement group director. He’s quoted, referring to the program as a “hugely important literary prize. As one of the country’s leading universities, we are fully committed to supporting the creative industries and the continued nurturing of our rich literary tradition. And Sunday Times literary editor Andrew Holgate is quoted, saying, “The University of Warwick [has] stepped up to become the Young Writer Award’s main partner. “And I couldn’t be more grateful to Caroline Michel and Peters Fraser + Dunlop for helping to revive the prize and inject new energy into it. We’ve all worked so closely together as partners … to help champion young British and Irish writers, so it feels entirely appropriate that Caroline becomes patron, and the University of Warwick becomes lead partner. One thing the Sunday Times/University of Warwick Young Writer of the Year Award might do is create a fine nickname for itself, along the lines of the British Book Awards’ “Nibbies”—something the young honorees of the program can tell others about without growing older just trying to say their prize’s name. More from Publishing Perspectives on publishing and book prizes is here.